“Innocent Blood” is going to Cannes! Congrats to the all the cast and crew of Innocent Blood (formerly Innocence Blood) a film I worked on a while back as key grip / dolly grip which is going to Cannes! It’s not an official selection of the Cannes Film Festival but it is screening as part of Le Marché du Film, the festival’s film market. The film is being represented by Striped Entertainment and it will be screening this Friday at 11:30 AM at Main Building Palais-Stand Lérins S6, so if you happen to be in the neighborhood. Check it out! 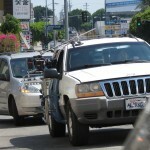 These are some of the car rigs I did as key grip on the feature film Innocence Blood. 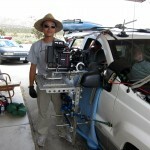 The hostess tray rig is by Modern Studio Equipment, rented from good old Wooden Nickel Lighting. Wooden Nickel also rents the Matthew’s hostess tray but I prefer Modern’s design for being quicker and easier to work with. The suction cup and 5/8″ rigging was rented from Dwight Stone a.k.a. “GripNerd” and it’s mostly made up of stuff he got from Modern Studio Equipment. That name sound familiar? Yeah. They’re awesome. Working in the low budget indie world this actually wasn’t the first time I’ve had to deal with a situation like this. This particular case was on the set of Sun Kim and D.J. 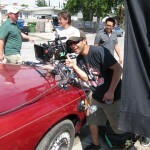 Holloway’s SAG ultra-low budget feature Innocence Blood, a film on which I had the great pleasure of serving as key grip along with gaffer Mike Jones and DP Francisco Bulgarelli. 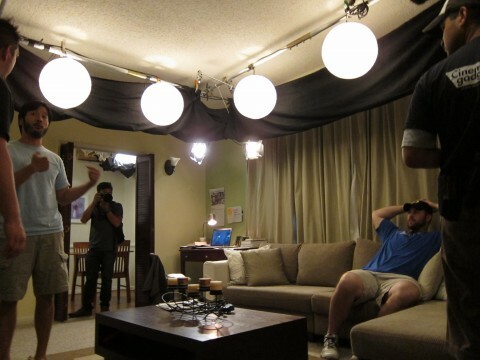 And yeah, we were really shooting in the lead actor’s apartment!